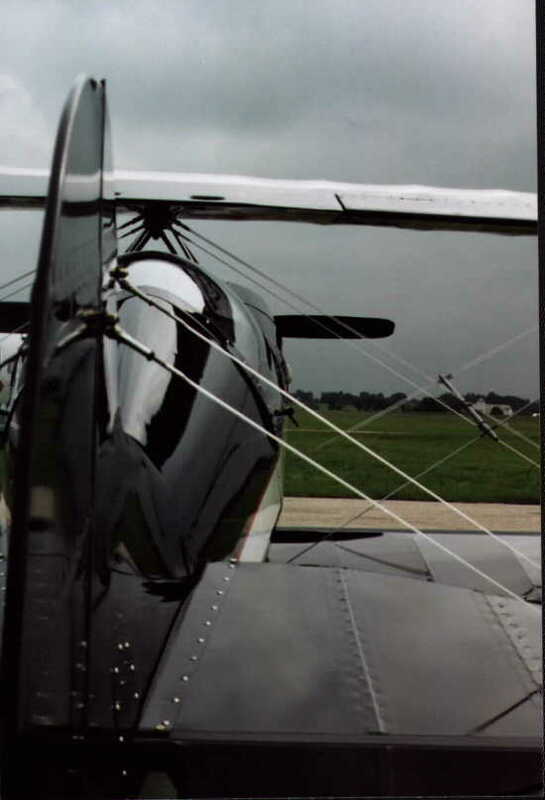 My friend and unlimited biplane colleague, Kurt Haukohl, has asked me to say a few words in regards to my airplane. First and foremost I would like to thank Kurt, for this web site is really his baby and to his credit, a great opportunity to display and give recognition to these increasingly rare and often overlooked two winged unlimited all stars. After much thought, I refuse to get into a superlative gunslinging contest. 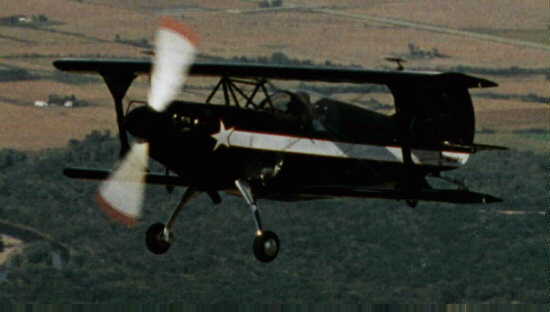 This aircraft held the FAI Group I (piston engine) class C. 1. A., (all takeoff weight 250-500 kg. ), for five years. I am pretty sure with a little effort and a bottle of laughing gas this aircraft could recapture the record. 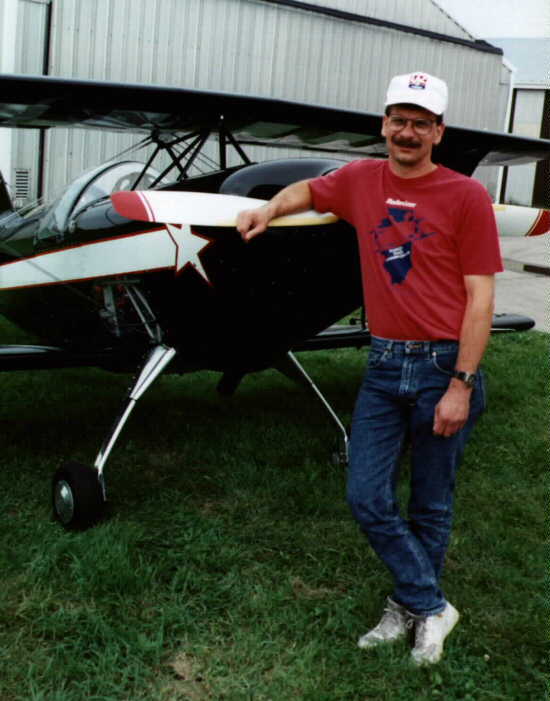 This record is well documented in May 1991 "Sport Aviation" Magazine. 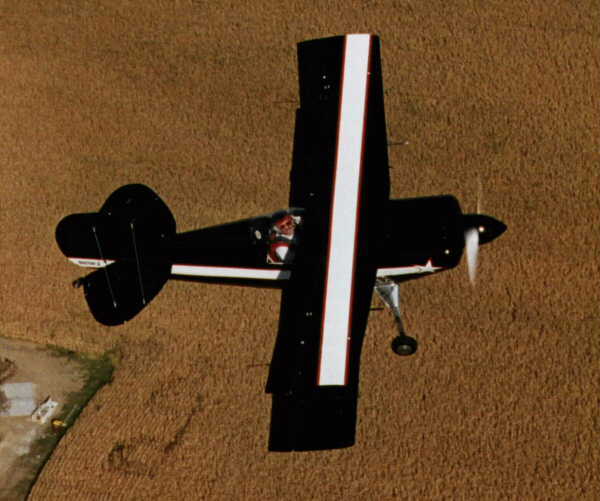 More Details on the aircraft appear in the October 1995 Issue of "Sport Aerobatics" Magazine. 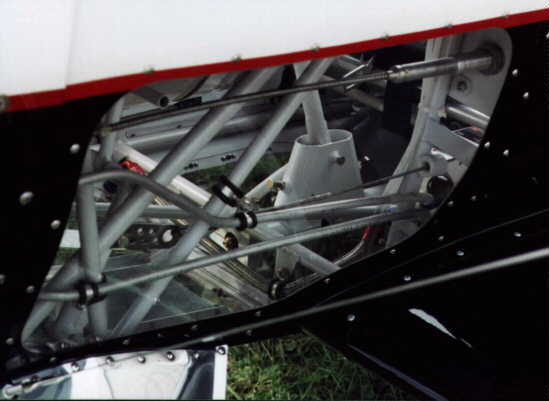 The aircraft is built on a four cylinder formula. 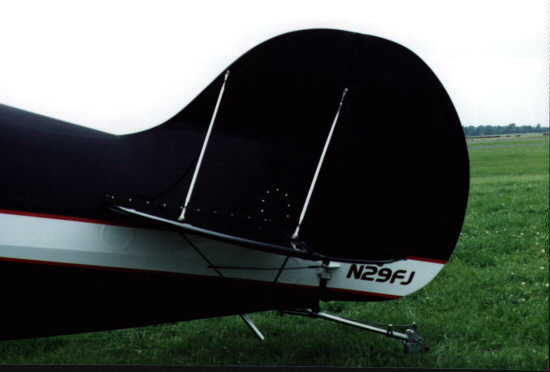 Like all S1 Series Pitts, it is diminutive in size, (16 ft. wingspan - 785 pounds empty weight), and must be flown in the judge's face to get decent scores in competition. The "keep it light as possible" idea is at work here even more so with this formula. Everything including pilot weight and fuel load become bigger players in things like power-to-weight ratios. 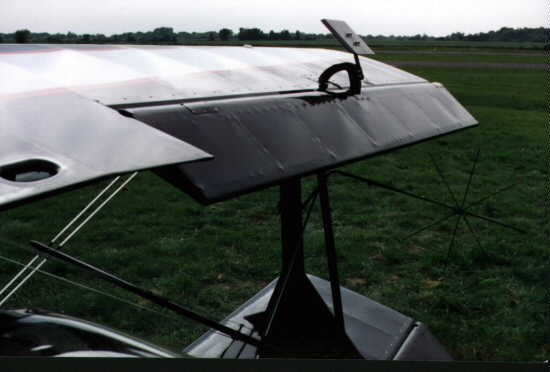 Also a comparable monoplane can weight approximately 15% more; (conventional building materials and inherent biplane design usually excel here coupled with a competent builder). No contemporary luxuries like CD players, leather seats, position lights or electric rudder pedals here. 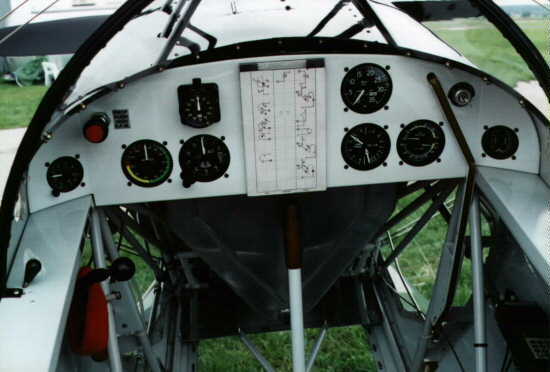 This aircraft does not have an on board electrical system or starter. Although not for everyone the payoff is an anti "G" machine, and with lots of practice a formidable combination capable of competing and winning anywhere, anytime baby. 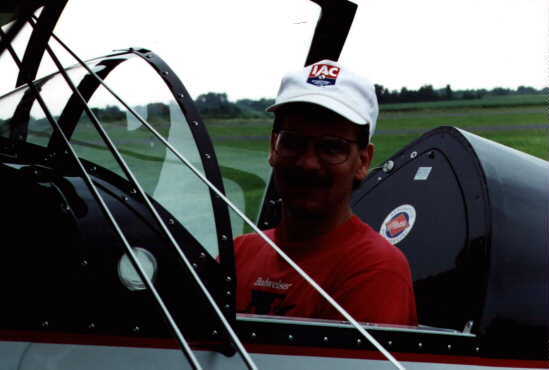 All pilots gain a flying style as their aerobatic competition career progresses. You need a paintbrush that fits your hand. The aircraft does indeed fly the sequence or airshow, but it is up to the pilot to illuminate the flight. This aircraft is designed to fit me and my flying style. 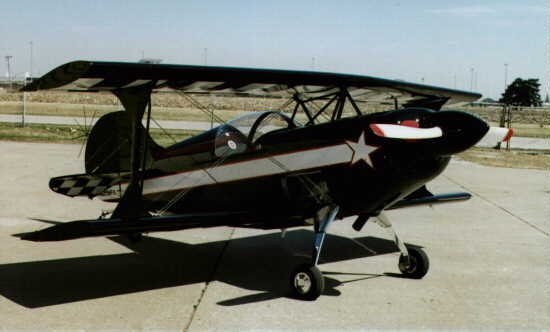 Engine - Highly modified Lycoming AEIO-360-F1A6 - 230 Horsepower @ 2750 R.P.M. 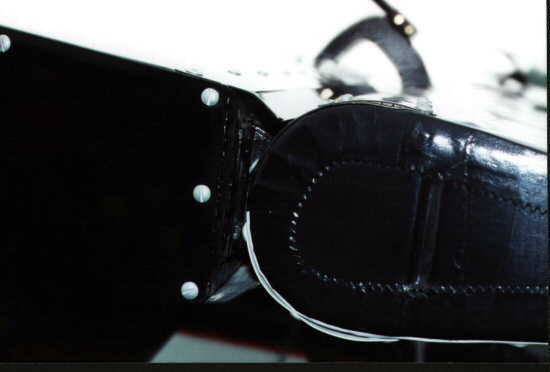 Look at the Aileron Gap above! Low to High airspeed as good as anything on the Planet !! !